(Cambridge) A real gothic story isn’t about tragic romance, torture, or death, but houses. Houses with long histories and dark secrets. In the contemporary setting of Cambridge, Immaterial Girl offers the beginning to an old-fashioned gothic serial centered on the haunted Blackwood Manor. Robert Blackwood (Michael Fisher) has just inherited the house from his late, sadistic, psychologist father. Fisher plays Robert as a frustrated man, a professor at the unsubtly named Stillborne Community College who feels alienated from his students, including the driven Sharon (Obehi Janice) and the dopey Bud (Steven James DeMarco). With each misguided history lesson he teaches, Robert desperately tries to escape the infamy of the Blackwood name. Characters like Anton, played by the excellent and versatile Calvin Braxton, and glib tour guide, Daniel Berger-Jones, won’t let him. In a lot of ways, Immaterial Girl is by the numbers when it comes to horror. The fact the house is haunted isn’t surprising, but the way in which it’s haunted is. The ghost, the beautiful Rose (Poornima Kirby), dresses in Victorian under-clothing and glow-in-the- dark paint. She struggles to speak when she arrives in the real world, terrifying in her jerky, silent movements. Robert is smitten with her on sight. His devotion is sudden and strange, but their relationship is the bloody, beating heart of the play. Immaterial Girl, itself, is an old-fashioned haunted house. Also like a haunted house, it’s big on gimmicks. The series is meant to be a multimedia piece that utilizes film, both humorous and haunting, and an indie live band, Alchemilla. Designer PJ Strachman and video consultant, Casey Preston, are really aiming for a unique viewing experience. Their special effects and the staging of director Ben Evett try to set the play apart from other Halloween productions this year. 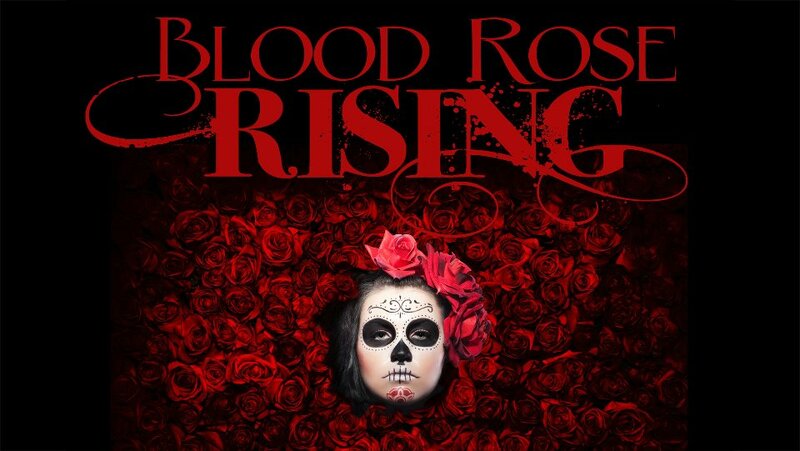 The show is adequate as the “pilot episode” to the three-part Blood Rose Rising series at Cambridge’s NAGA. Apparently, each play is meant to stand on its own but runs in a rotating repertory for the convenience of those who miss an episode. This is lucky because Immaterial Girl alone is fun but unfinished. though, that I’m more than eager for the next installment. This entry was posted in Drama, Other and tagged 2012, Alchemilla, Ben Evett, Blood Rose Rising, Calvin Braxton, Cambridge, Casey Preston, Central Square, Daniel Berger-Jones, gothic, Halloween, Horror, Immaterial Girl, Michael Fisher, multimedia, NAGA nightclub, Obehi Janice, October, PJ Strachman, Poornima Kirby, September, Steven James DeMarco, Victorian by gilliandaniels. Bookmark the permalink.